For #Five2Watch this week we feature five artists who've created artworks about dance. These have been selected by Claire Rongying Duan who's currently undertaking a Postgraduate Work Placement at Axisweb: Mary Fletcher, David Cottingham, Andrea Kim Valdez, Alex McIntyre and Ellen Sampson. 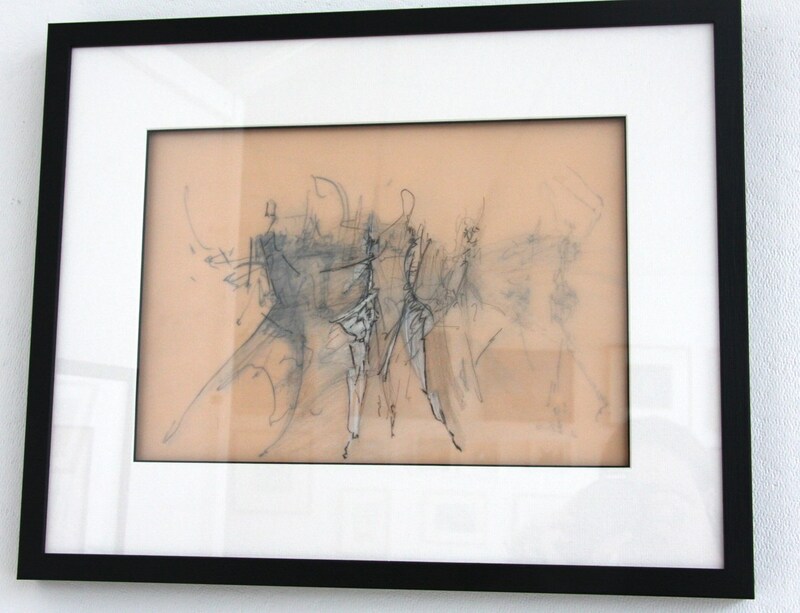 This work was developed from drawings done in the dark during a dance performance. I have enlarged the best of these and used them to make my own visual dance. There is a thin spray of varnish used to protect the collage elements. 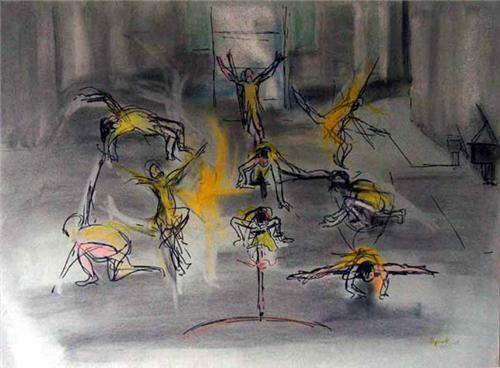 Instantaneous drawings made at St Pauls Cathedral in conjunction with the Rambert School Cathedral Dance performances. 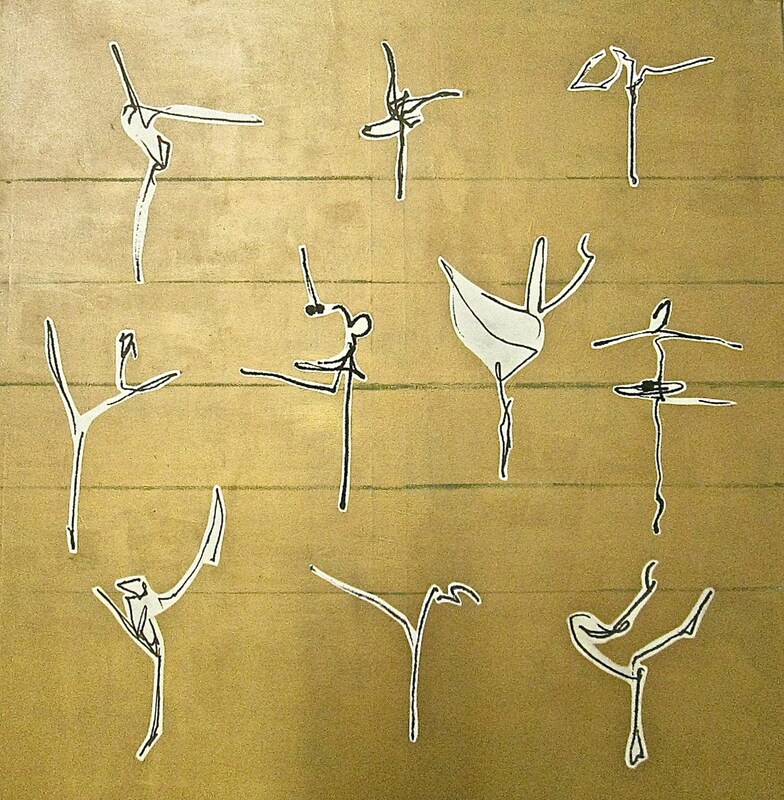 This collection of drawings was produced following a research residency drawing in rehearsals for English National Ballet's collaborative project with Brent Council, 'Ballet:Fused'. The project worked with young dancers and professional choreographers from the different different disciplines of Ballet and Kathak to combine the two art forms into a piece of dance that was performed at the Civic Centre opening ceremony in Brent 2013. The piece refers to human movement in space as a metaphor for the fleetingness of life, the glimpsed moment, that once seen, is already gone. The film ‘Dance’ and the shoes which accompany it, explore the shoe as a record of a series of movements over time. It asks how the ephemerality of gestures (the body moving through time and space) can be made permanent and material. Taking the form of two divergent records of a single performance - a film, and the shoes worn by the dancer - it presents the worn and discarded shoe as a material manifestation of gestures performed within it. Each shoe, worn for a single performance, becomes a record of those particular gestures - temporary, sigular and unrepeatable.